Tokuzo's father, Shounsai Shono (1904-1974), was the first ever person to be designated as a living national treasure in bamboo art. 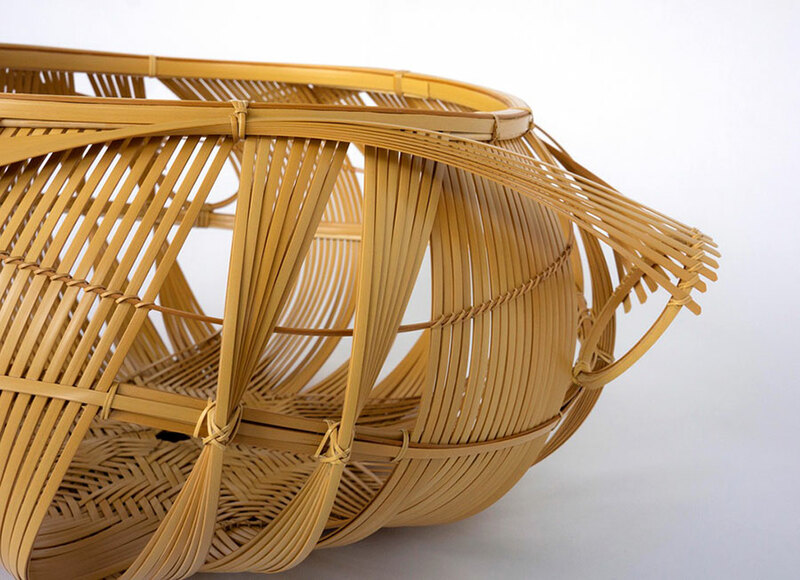 He was the first artist to create sculptures using the beauty of bamboo. 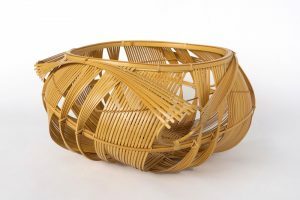 After graduating in the sculptural arts at Musashino Art University in 1964, Tokuzo became a student of his father Shounsai, and inherited the aesthetics and technique of Shounsai. 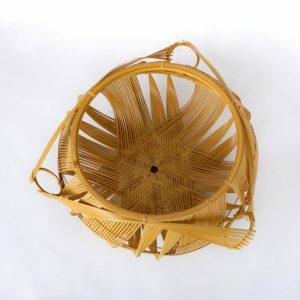 His technique is to select the bamboo from his own bamboo grove, then cut, dry and leach out the oil and sugar content by heating. 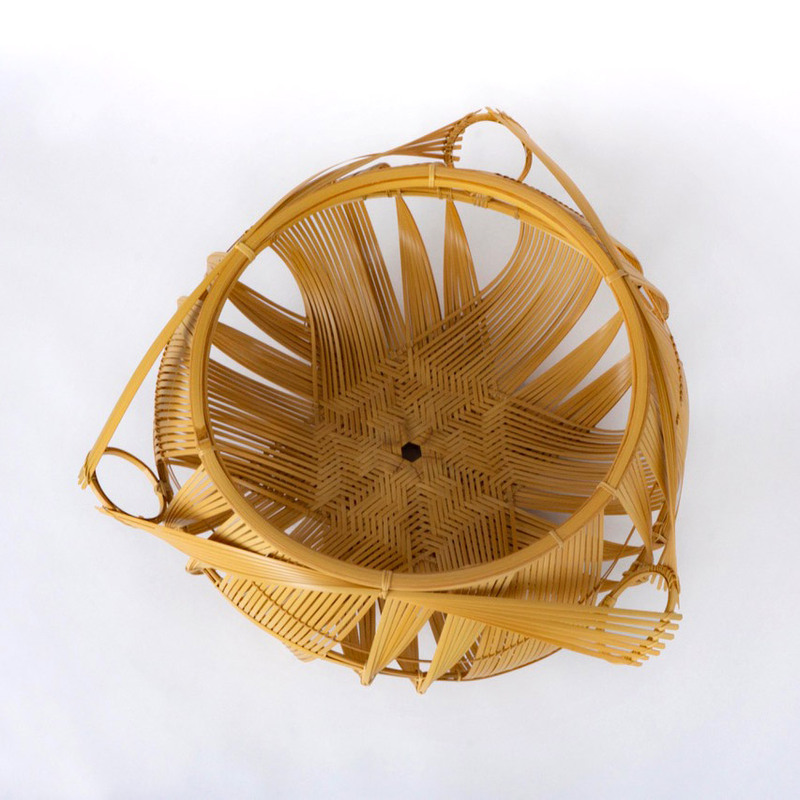 The preparation takes more than two years before the bamboo can be used, taking advantage of natural processes. 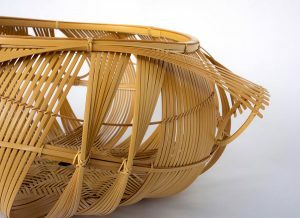 This work works well with the beauty of the bamboo material and the characteristics of its flexibility. 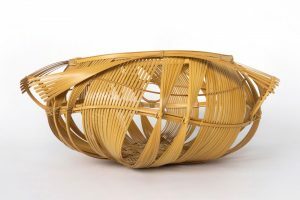 If the direction of the wind changes, the form of any one piece of bamboo can change the way the artist will then use that piece. 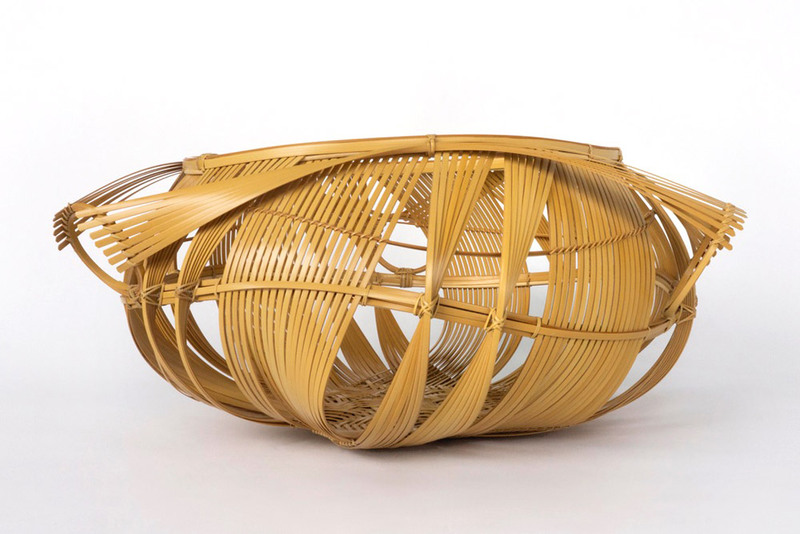 The works of Tokuzo Shono are housed in the Victoria & Albert Museum, the Metropolitan Museum of Art, the Museums of Fine Arts, Boston.